Police say 29-year-old Eric Holder has been arrested in connection with his death. The theories centre around a self-proclaimed Honduran healer who died in 2016 - Alfredo Bowman, more widely known as Dr Sebi. 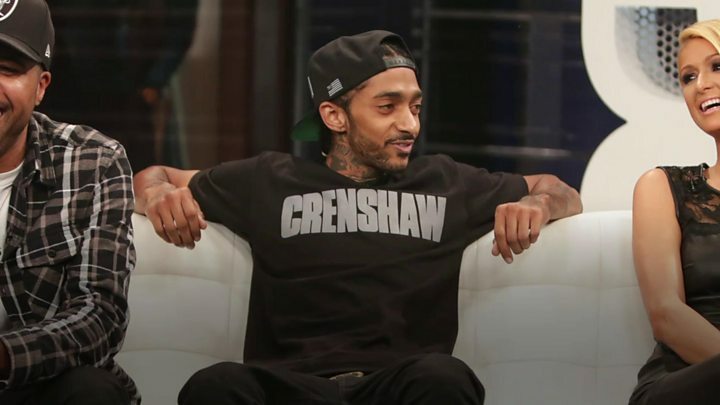 Search results for "Nipsey Hussle" on YouTube include several such videos, some of which have accumulated hundreds of thousands or even millions of views. Adherents claim - baselessly - that the rapper was murdered because he was working on a documentary about Dr Sebi. "False information is not necessarily violative, unless it crosses the line into hate speech, harassment, inciting violence or scams," YouTube said. On Twitter, the speculation propelled the herbalist's name into the top trends, with some noting that former TLC musician, Lisa 'Left Eye' Lopes, had been visiting Dr Sebi in Honduras before she died in a 2002 car crash. "Having strong enemies is a blessing," he said. What's that got to do with Nipsey Hussle? "Can't kill us all," he posted on Instagram, alongside a number of videos - viewed millions of times - featuring the Honduran herbalist. Police have charged a 29-year-old man, Eric Holder, with the killing.